We are starting to see more and more new cars coming out with privacy glass. Privacy glass is basically standard glass just with more pigment added to make it darker. Being on the rear half only, the obvious as far as appearence goes is to simply match the tint on the front door glasses. Problem is that even though the dark glass looks good, it simply doesn’t help with reducing heat transfer and wont block harmful UV rays. 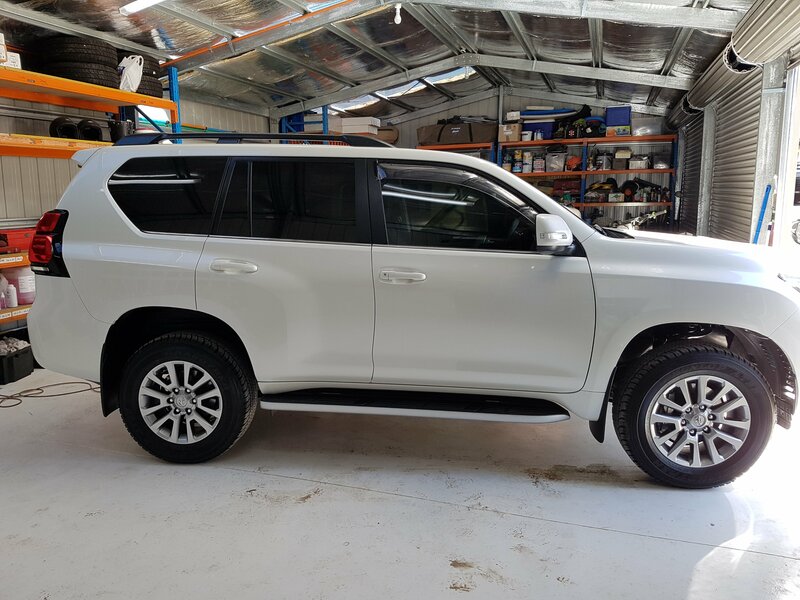 This Prado has just had Premium 20% High Performance film applied to the front door glasses and 60% UV blockout applied to the rest reducing cabin temperature by more than half.